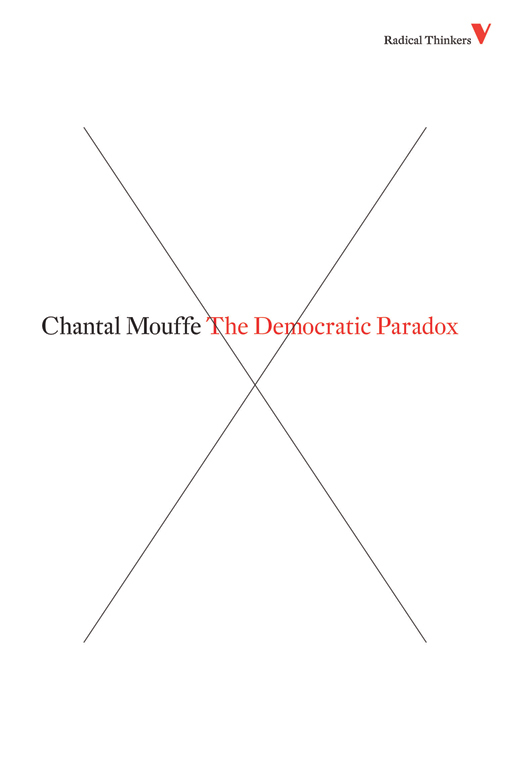 On 8 July 2015 the Belgian political scientist Chantal Mouffe was in Bogotá to give a talk on ‘democracy and passion’ at the Biblioteca Luis Ángel Arango. Before the meeting, Palabras al Margen  spoke to her about the contemporary meaning of populism and democracy as well as the experience of certain social movements in Europe, in light of the Latin American situation. Translated by David Broder. Palabras al Margen: What is the relevance of your influential work Hegemony and Socialist Strategy today, thirty years since its publication? 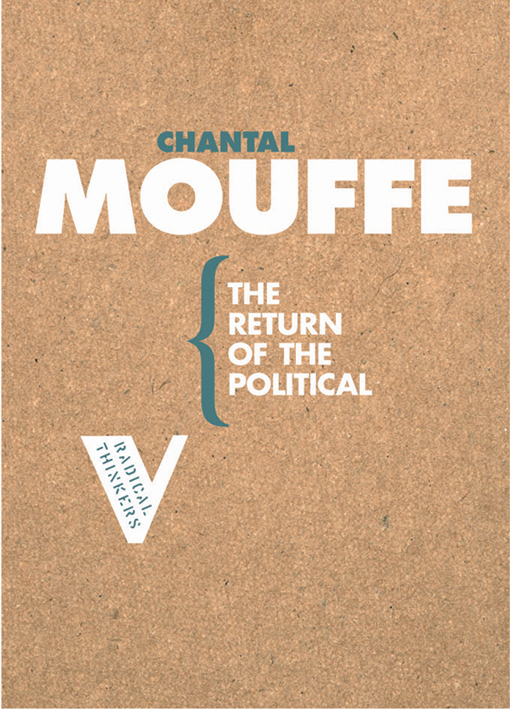 Chantal Mouffe: When we wrote the book it was clear that it was necessary to rethink socialism in a way that would also incorporate the demands of the new social movements – from feminism to ecology and gay struggles. And that is still now a highly relevant question. However, I would not today propound a theoretical project trying to reformulate socialism — for whereas when we wrote Hegemony the idea of socialism was central, that is not the case today. In that moment, we advocated reformulating the socialist project in terms of the radicalisation of democracy. We thought that it wasn’t enough to think a socialist project within the limited terms of working-class demands alone. Today the great difference between a Left project and a right-wing one is rooted in the fact that only the former can uphold any kind of radicalisation of democracy. On the other hand, we differentiated ourselves from traditional Leninism, which proposed finishing with actually-existing democracy such as to replace it with something completely different. We instead argued that the struggle could be fought to its conclusion within the existing democracies, but while also making an immanent critique aimed at radicalising these democracies. I believe that a left-wing project should not seek to finish with pluralist democracy or liberal democracy, but seek its radicalisation. 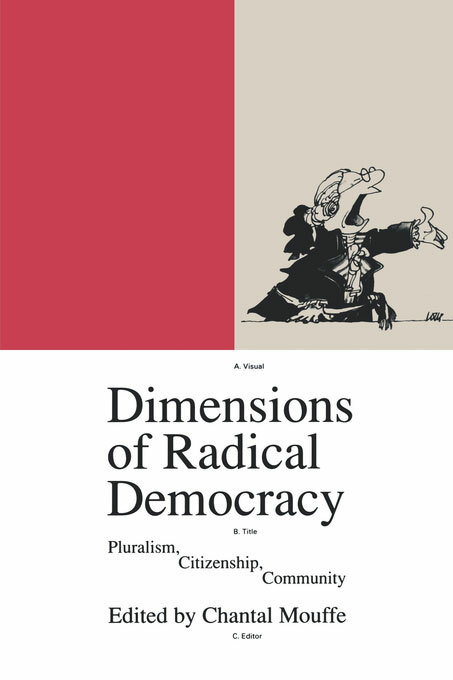 If we understand the ethical-political principles of pluralist democracy to be freedom and equality for all, then we find that these are rather radical principles; a progressive project must force the societies that profess these principles to make them a practical reality, ensuring that they extend to the most varied aspects of social relations — and not only with regard to the economy, for recognition is important as well as redistribution. To radicalise democracy is both to fight for better economic conditions for all, and to defend the rights of sexual minorities, for example. The project set out in Hegemony and Socialist Strategy is still a relevant one, but the current conditions for achieving it are much more difficult. In the last thirty years, since the book’s publication, there has been an enormous regression in the societies of Europe, as we have passed from social-democratic hegemony — which we criticised in our book — to neoliberal hegemony. The working class’s gains have been threatened, in particular given the loss of the rights achieved through the welfare state. So I think what we have today are post-democratic societies: they call themselves democratic, but in reality they are not. So today it is necessary to take back democracy, in order then to be able to radicalise it. Even if it is really perverse for a radical person to say this, faced with the neoliberal advance today we are, without doubt, obliged to defend institutions based on social democracy. Before, this would never even have entered our heads. Major forces are emerging in today’s new context, indeed ones relevant to this effort to win back democracy: from peasant and indigenous social movements in our own surroundings, to progressive governments in Latin America and experiences like Syriza  and Podemos in Europe. How are these new political and social mobilisations contributing to taking back democracy? For me, the most interesting thing about Syriza and Podemos is that we are seeing neoliberal hegemony being challenged from the Left. Europe stands as a clear example of what I have called the ‘postpolitical’ ; in the last thirty years, we have seen a blurring of the difference between Left and Right, through the consolidation of figures like Blair’s Third Way, which showed how all social-democratic parties have moved toward the centre and no longer want to identify with the Left. One feature of post-politics is the lack of difference between centre-Left and centre-Right. Both accept the idea promoted by Margaret Thatcher that There Is No Alternative to neoliberal globalisation, and thus that all social democracy can do is manage neoliberal hegemony in a marginally more redistributive and humane fashion. This has generated a loss of interest in politics and depleted electoral turnout – a signal of the crisis of representative democracy. I understand politics in partisan and agonistic terms , which implies citizens really being able to choose between different projects for society. But today in most elections people are choosing between Pepsi and Coca-Cola; two equal projects with different labels, as is today happening with social democracy and the centre-Right in Europe. Not long ago the only ones criticising neoliberal hegemony in Europe were the populist parties of the Right; they argued that there was an alternative and showed the possibility of changing things, but there was nothing similar on the Left. Of course, there were critical positions on the radical Left, but these were the positions of protest, with nothing like the possibility of arriving in power in order to change things. There was also the position of the followers of Toni Negri, who made the argument for ‘exodus’; deserting the institutions, suggesting that what we need to do is not to change the state or reach power, but build an alternative society completely outside of the state. So there was no true challenge to neoliberal hegemony from the forces of the Left. What we had were rhetorical positions, which did not seek to overrun institutions in order to change them. Syriza has managed to do so — although its advance owes to the terrible situation in Greece — and Podemos has also developed a very interesting political strategy. It is interesting to see that Podemos is so greatly influenced by social movements and the alternative governments in Latin America. Yes, it is. Podemos’s main leaders — Pablo Iglesias, Iñigo Errejón and Juan Carlos Monedero — know Latin America well, and have been inspired by the experiences of the progressive governments of Latin America. In particular, they have been inspired by the idea of constructing a people — indeed, the progressive governments of Latin America see themselves as national-popular governments. However, I do not share in Podemos’s decision to dismiss the difference between Left and Right — they insist that they do not identify either with the centre-Left PSOE or the radical Izquierda Unida. They say that they want to do progressive politics differently, insisting that the transformations of capitalism have changed the working class and that for this reason it is no longer appropriate to follow the traditional coordinates that once formed Left discourse. They are trying to radicalise democracy, including seeking to reach former Partido Popular voters with their discourse. Previously, sociological analysis brought up clear working-class referents, but today capitalism has transformed, and it is right to try and reach other layers: indeed, progressive voters in Spain today are not the traditional Left ones. Podemos speaks to a wider audience, with new mobilising themes. It speaks to people who seek deep transformations in Spain, to those who reject austerity measures, to those who are disillusioned with the PSOE/PP two-party system, and to those who reject corruption, among others. Today it is not only people working in big capitalist companies or big factories who are under the heel. Today are dealing with a biopolitical, post-Fordist capitalism that affects all of us. Privatisation policies, the imposition of austerity measures and the expansion of finance capital have changed social relations, and the consequences of capitalism go way beyond the relations between capital and labour. For this reason, it is very important to pose the question, ‘How do we construct a people?’, or in Gramscian terms, ‘how do we forge a collective will?’, a transversal collective will that goes beyond the old idea of organising the class. How would you relate the situation emerging in Europe right now to the landscape we now see in Latin America? Firstly, I should clarify that for me, it is of fundamental importance to understand politics as the construction of boundaries. The demarcation of an ‘us’ faced with a ‘them’ — that is what my partisan conception of politics is about. Before there was a clear delimitation between Left and Right. Today this difference is less clear, and it seems that this boundary is instead taking shape between the people and a ‘caste’ — as Podemos calls it — an establishment, or super-rich élites. 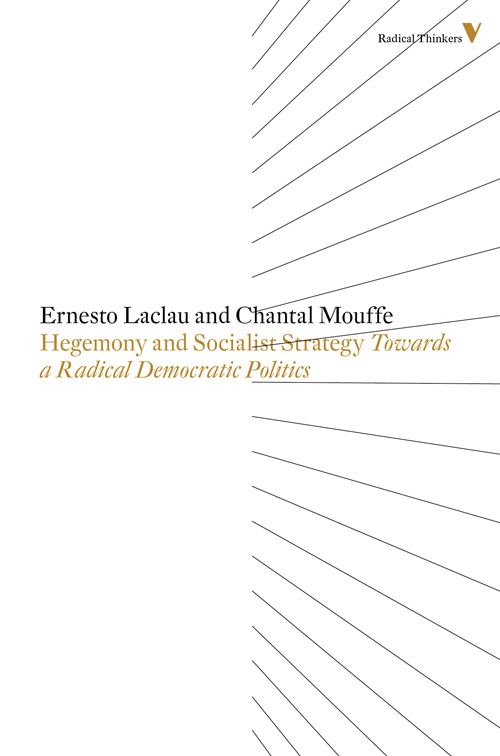 In Ernesto Laclau’s work we find an idea of populism that does not depend on contents, but on the delimitation of a frontier between the people and its rivals. That is how a populist frontier is configured. Today in Europe we are seeing a populist turn — we could even speak of a ‘Latin-Americanisation of Europe’. In Latin America we have profoundly oligarchic societies, with a people excluded from power. Progressive governments have arrived in power seeking to change this situation, albeit with varying results. Today in Bolivia or Ecuador the masses have in some senses been included in power. In Europe it is heading in the opposite direction: the masses were already included during the era of the welfare state, and with neoliberalism they were excluded from it. Today also in Europe we find oligarchic societies; as Piketty’s work aptly demonstrated today we have a class of the super-rich, as against the people. In Europe we need to take back democracy. And for this reason Podemos, with intellectuals like Errejón, think we need to learn from Latin America such as to try and construct a people and create national-popular governments, overcoming the traditional Left discourse and going beyond the working class, thinking in more transversal terms. To what point does this taking-back democracy mean taking back politics itself? Very much so. That’s the reason why in the current situation I speak of ‘post-politics’. We have a negation of the partisan character of politics – its character consisting of creating an ‘us’ as against a ‘them’. Though at times this partisan character can generate political constructs that are unfavourable to democratic politics, there can be no politics without this agonistic struggle. So we need not to overcome this element of confrontation, but rather to construct an agonistic politics that drives toward the radicalisation of democracy. That’s what taking back politics is about. So I believe that today we need a Left populism that can radicalise democracy. In the years to come we will need to recognise antagonism, and put our faith in the democratic institutions that will allow this struggle to be fought out. The battles of our time cannot play out within the terms of the traditional categories; I am sure that in the years to come we will see an open struggle between the populism of the Right and the populism of the Left. This people that must be constructed could be forged from the Right, as Marine le Pen is doing in France: that is, an exclusive people, that persecutes migrants. But there is also a construction of the people from the Left, one that includes migrants and stands against the powers of neoliberal globalisation. Conversation, transcription and notes: Andrea Cely y Alejandro Mantilla, columnists for palabrasalmargen.com. The interview took place a few days before Greek prime minister Alexis Tsipras’s capitulation to the IMF, ECB and European Commission. See her book On The Political. 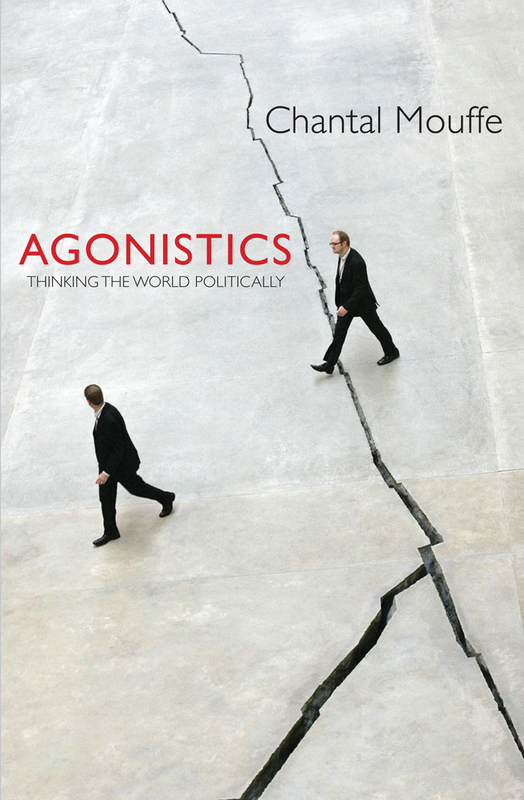 See Mouffe’s work Agonistics: Thinking the World Politically. 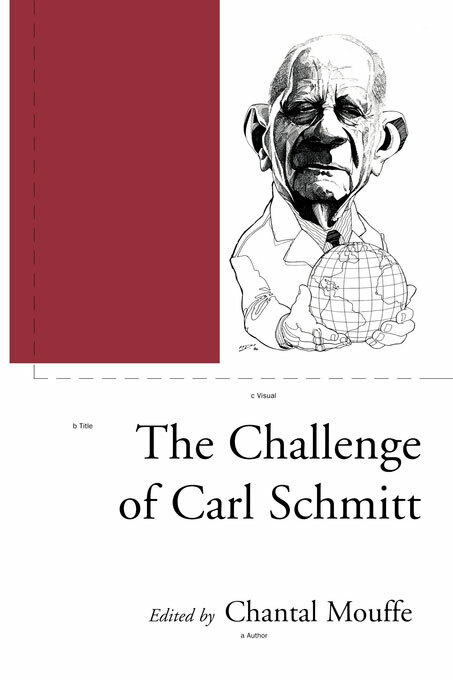 Significantly influenced by Carl Schmitt, Mouffe establishes a difference between agonistics and antagonism. Politics is defined by the permanent conflicts that lack any possible rational solution: the antagonistic dimension expressed in the disputes of friend and enemy, a clash that can even lead to the destruction of political association. In the case of agonistics, the adversaries in dispute recognise the legitimacy of their opponent's demands: 'This is, so to speak, a conflictual consensus among adversaries; they are in agreement over the ethical-political principles that organise their political association, but they disagree with regard to how to interpret these principles'.